Just Jingle: It's Ombré Time! Yup. It's a game show opener kind of day. Why? Because that's just the kind of mood I'm in. And I'm in charge around here. So, that's what you get. Whatever. You know you love it. The challenge this week is to use the ombré technique on your projects! The design team is featuring Hero Arts products this week. You don't have to use them to play along, but if you've got some on hand, we'd love to see what you do with them! I used this AWESOME dot background stamp to create my card for today. I seriously love this stamp! I stamped in VersaMark and heat embossed with white embossing powder on white cardstock. I then used distress inks to create the ombé background. I kind of love it. The sentiment is the Simon Says Stamp Painted Thanks die, cut several times, layered, and then I used Wink of Stella, Glossy Accents, and some super fine glitter to make it sparkle. It sparkles. Lots. Now it's YOUR turn! Created something awesome based on the Ombré inspiration and link it up over on the Simon Says Stamp Wednesday Challenge blog for your chance to win a $50 Gift Voucher to the Simon Says Stamp Store! Such a pretty ombre, Jennifer! Nothin' happier than polka dots! 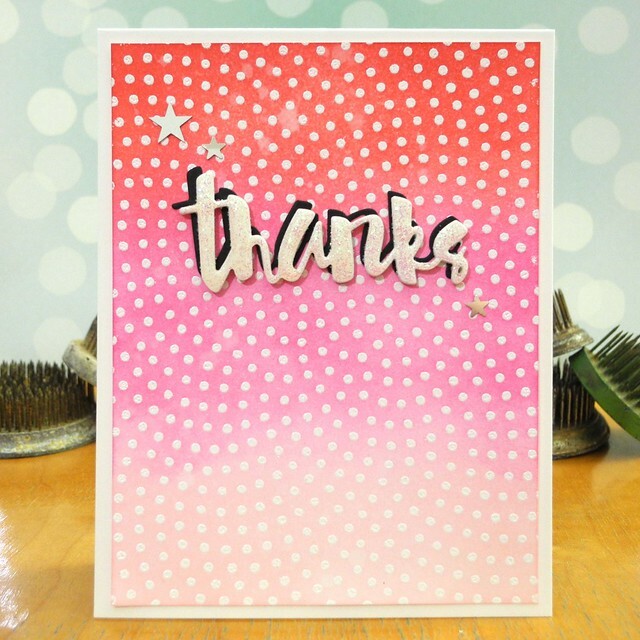 A gorgeous card Jennifer, I love the colours with the pretty polka dots and sentiment!! Beautiful card Jennifer! That background is wonderful!! Love the colors!! This card has to be the most gorgeous thing ever in person if it looks this cool on my phone. Hi Jennifer, just stopping by, love the card. I have been MIA for a couple of years but trying to get back into paper crafting and blogging, that is a goal that I had for 2016. Gorgeous card! Absolutely love the background! WOW! Your background is fab, but your take on the challenge is even better! The background stamp is stunning! 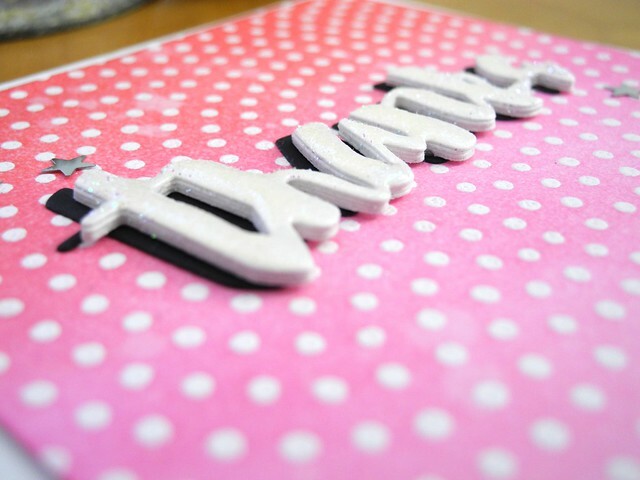 I have started a challenge blog called Paru's Card Making Challenge and our first challenge is up!! Do stop by and play!! Great job on the ombre! Love this card. It came out so nice! hi Jingle! luv that background, so awesome! Heh, heh... See What I Did There?